Here we have a absolutely beautiful bedside cabinet. 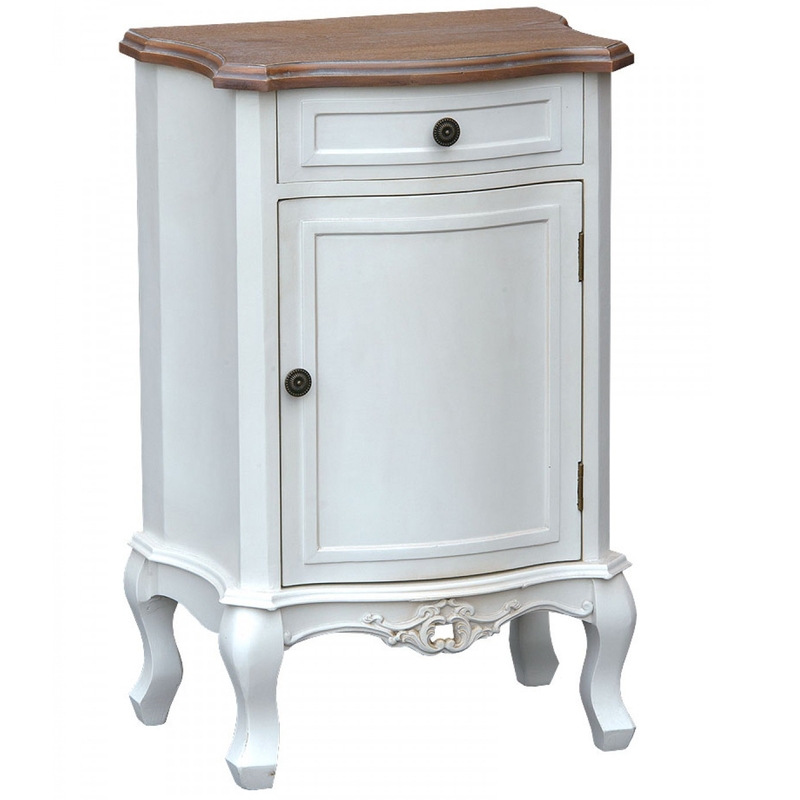 Short, sturdy cabriole legs makes this an appealing piece of furniture. Features one spacious lower cupboard and one drawer, this cabinet provides plenty more bedroom storage space. The warm wood complements the soft white paint finishing this gorgeous bedside cabinet, making it perfect and suitable for a multitude of bedroom decor.